Well at least that’s what Copenhagen is most known for, but it’s hardly worth mentioning actually. Copenhagen has quite a lot to offer and I enjoyed the city a lot. What surprised me the most is the number of bicycles you see in the city. 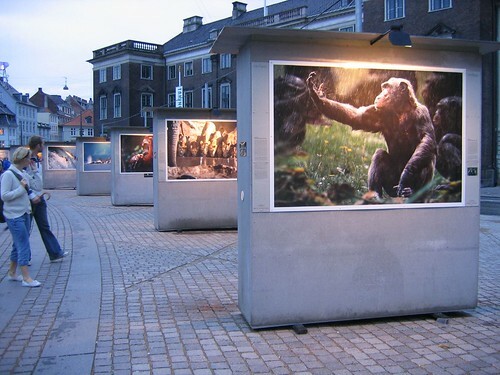 There was also a great outdoor photo exhibition of Steve Bloom “Spirit of the Wild” in the city center. A lot of these photos were really stunning! Make sure you look at his work. Looks really cobbled, and the wheels in the above photo seem buckled. Thanks Kris! I changed the bicycle image so it presents a bit better hopefully. I’m a rather lousy photographer indeed.